Czech Beer is Soooo Good! 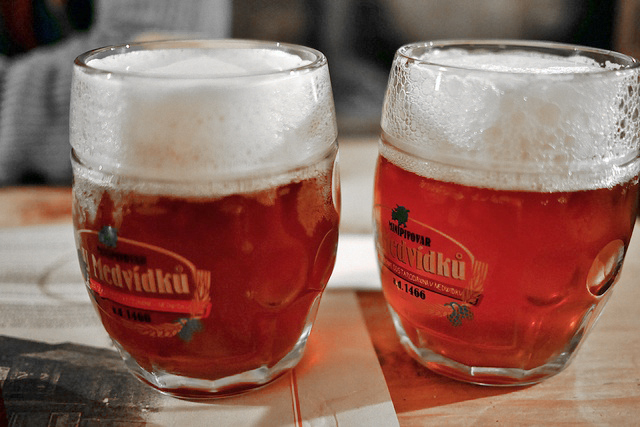 You’ve probably heard, Czech beer is good… and we mean really damn good! But why is it held in such high regard to other world beers? From a scientific and heritage point of view, the reasons are clear. The Czech Republic grows some great grains. And brewers have had hundreds upon hundreds of years experience perfecting the golden nectar. Going to the pub and drinking with friends is sacred in the Czech Republic. Just like shisha has become popular beyond the Middle East for the connections it has with socializing. Czech beer is famous because the local culture is so warm and welcoming. For tourists this is awesome. Outside the massive beer festivals in Bavaria, you’re unlikely to find a place in Europe, or indeed the world, where sitting down for a beer will be such an easy and enjoyable experience. Leading on from this point, because it’s such an essential part of Czech culture, local beers prices are low so as to be affordable for everyone. People tend to really enjoy something they can have lots of without breaking the bank. Of course the export versions you’ll find abroad tends to be more pricey. 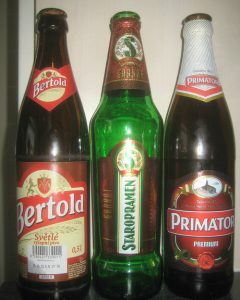 But it will often compare favorably with other world beers found on the supermarket shelf. Unfortunately, local brewers are fast disappearing or being bought up by large multinational companies. 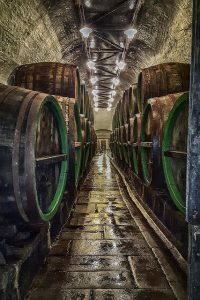 The Czech Republic and especially Prague still has a healthy ecosystem of breweries – from larger ones around for eons, to local startups who benefit from the support of their bigger brothers. What’s more, superior Czech hop quality and the pleasantly soft local water means Czech beer is impossible to create outside the country. So even if someone really wants to try, well they can’t. So there!. For the uninformed, decoction mashing is a method of brewing. They take where they take a portion of the mash and boil it separately, often a number of times. It’s then put back into the batch, ensuring a richer more flavorful profile to the resulting beer. So, with these few facts now installed in your brain, come to Prague, kick back and enjoy a beer with some new friends! We run a Food and Beer Tour of the city. It’s a great way to get an understanding of Czech cuisine, as well as have a great time!